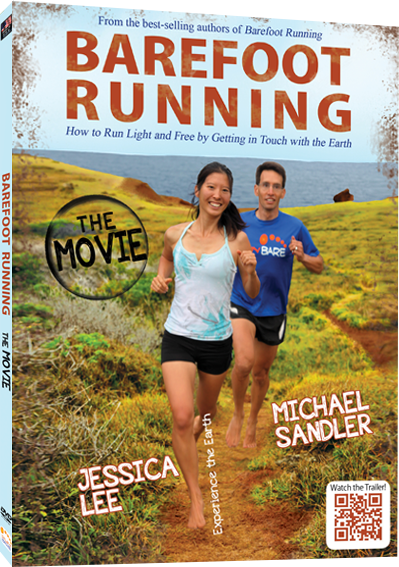 The Minimalist Running DVD That Will Help You Run Lighter, Faster & Easier than Ever Before! Watch the action-packed trailer here! Up to 80 percent of all runners get injured each year, pounding away in their shoes. However, it doesn’t need to be this way. With proper instruction you can dramatically lighten your stride. As natural running coaches, we’ve helped all of our clients make significant changes, from day one. We begin with the landing of the foot, showing you exactly how to land and where. Step by step, you’ll learn to position your body for minimum impact and maximum efficiency. Learn how the right shoe can make all the difference in the world. Minimalist shoes can help you land light, protect your soles and propel you forward. Yet most shoes do just the opposite, hurting our feet, rolling our ankles, pounding our knees and tiring us out. By working with thousands of runners and studying countless shoes, we came up key criteria to save your feet. We break it down step by step going over each part of the shoe, to help you choose the best pair. Of course, running light and free is more than just form. It means using drills and strength training exercises to build your feet, legs, arms, and core. That’s why we show you over a dozen simple drills and strength-training activities. These will also improve your balance, extremely critical to injury prevention. You’ll also learn running specific stretching techniques uses foam rolls and balls, to keep your muscles from tightening up. For a complete list of topics covered, check out screenshots of the menu pages here. After a near-death accident left me with a titanium femur and hip, I was told I’d never be able to run again and barely be able to walk. Along with chronic plantar fasciitis, 10 knee operations, and no ACL, running seemed out of the question. grow strong, without the chance of injury. Soon I was running again, and faster than I ever had before. Then I met Jessica Lee, who suffered from nagging knee pain before barefoot running. After learning how to run pain free, she said we have to share this plan with the world. As word got out, runners flocked to us for advice, attracted to the ways we healed and grew strong through barefoot running. These strategies work for us, they work for our coaching clients, and they will work for you. Believe in your body. Nobody believed in mine and now I run healthy, happy and pain free. And you can too. Learn how to run naturally and experience the joy.